Fans voted on who would have the most views if they had a VR (virtual-reality) video. Online community portal Exciting DC�ran a poll asking about which male stars would reach 10 million views if they had VR videos and the poll ran from July 1 to July 7. A total of 185,125 votes were cast for the poll. 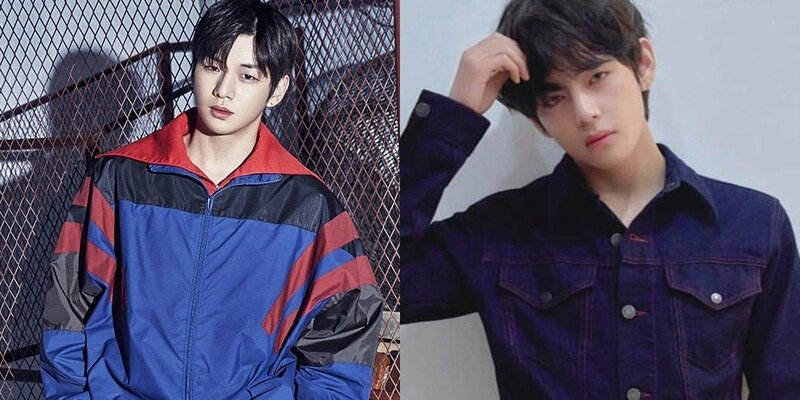 Wanna One's Kang Daniel�ended up at #1 with 47.3% (87,515) votes, and BTS' V�followed close behind at #2 with 44.8% (82,961) votes. 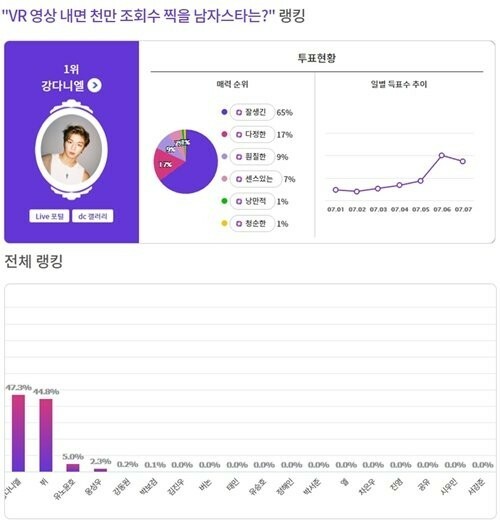 TVXQ's Yunho�came at a distant third with 5% (9,336) votes. Others included in the poll were Wanna One's Ong Seong Wu, Kang Dong Won, Park Bo Gum, WINNER's Kim Jin Woo, Seventeen's Vernon, SHINee's Taemin, Yoo Seung Ho, Jung Hae In, Park Seo Joon, INFINITE's L, ASTRO's Cha Eun Woo, EXO's Chanyeol, Gong Yoo, EXO's Xiumin, and Seo Kang Jun. What do you think of the ranking?